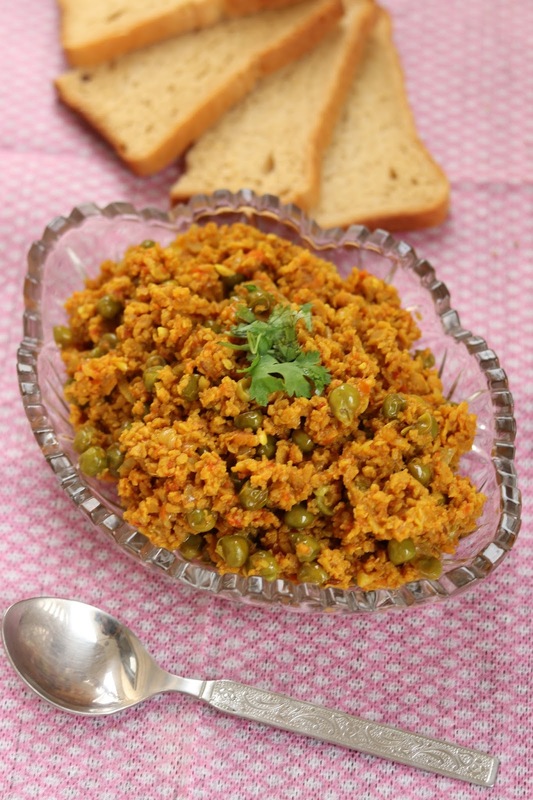 Learn how to make vegetarian soya keema matar. 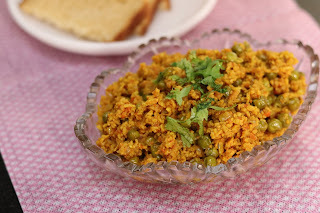 Soya Keema recipe is for all vegetarian who loves Keema. It is very easy to cook and this tastes great with rice or rotis or even nan. 1. Soak soya granules in water for half hour. Once soya granules puffs up, wash it nicely and squeeze out extra water from granules. 2. Heat 2 tbsp of mustard oil in pressure cooker. Saute cumin seeds, ginger, garlic, onions along with tomato puree. Add all spices and allow the masala to cook for sometime. Once masala becomes little dry, add soya granules. Add 1/4 cup water and pressure cook till one whistle or 5 min. 3. Open the lid of cooker and cook the soya keema on medium flame for 5 min till it dries up a little. 4. 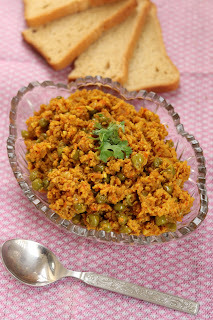 Serve hot soya keema matar with roti, paratha, naan or rice.